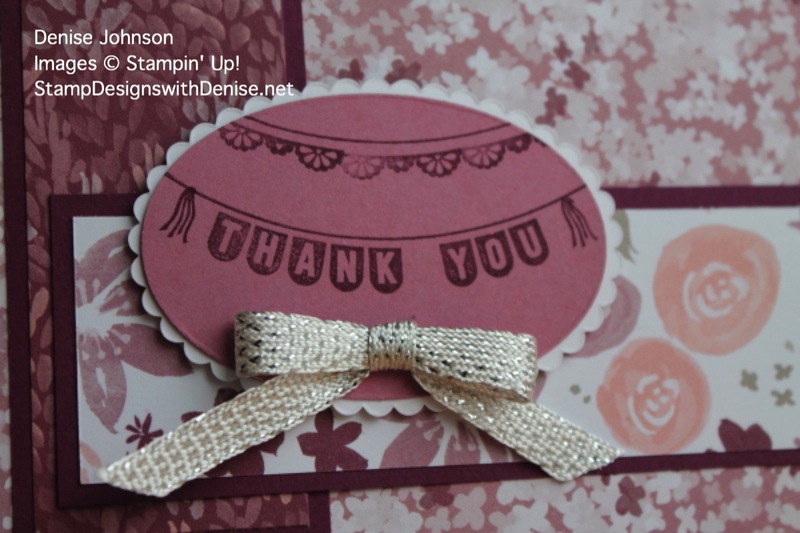 Stamp sentiment and borders on Sweetsugar Plum oval cut out. Layer all pieces as pictured above and attach to card base. Tie bow and attach to front.